We potty trained C quite late, last March, at 3.5 years old. We really struggled getting him used to the idea of using a potty or toilet but when he overcame his fears, he took to it well and he was fully dry during the day within around seven to ten days. Keeping him dry at night was another story. C just wasn't waking at night to go for a wee and I was constantly having to wash his bedsheets daily and change his pyjamas in the middle of the night. I definitely did not want to revert back to using a nappy for bedtime as I felt that it may either confuse him or make him think that he wasn't a "big boy" as he proudly told me he was when he switched from nappies to boxer shorts. ASDA's baby and toddler brand 'Little Angels' have got Day & Night Pants in their range and I felt that they were the perfect solution. Children do have accidents, no matter what age they are so you can purchase them in size M (4-7 years) and L (8-12 years). They are there to provide confidence for your child. I actually used to use the regular Little Angels nappies when he was a young baby so I was sure I'd get along with the pants. We received a pack of the M size boys pants for C to try out. At first he did question why I was putting a nappy back on him but I told him they were his special football pants for bedtime in case he needs a wee but can't make it to the toilet. The fact that they are thinner than his sister's regular 6+ nappies helped me convince him that they weren't actually the same! C does love football so he wasn't too upset and happily went to bed wearing them. I felt happy too because he was able to move freely and they weren't restricting. The next morning, he had no redness or marks where they had dug into his skin. He had no complaints so I imagine that he felt comfortable wearing them. The pack contains 10 pairs of pants so we used one each night and it was sort of hit and miss. Some nights he was dry and others, it was slightly wet the next morning. When putting them on, you do so like regular pants but you rip the sides to take them off. Quick and easy in the morning! 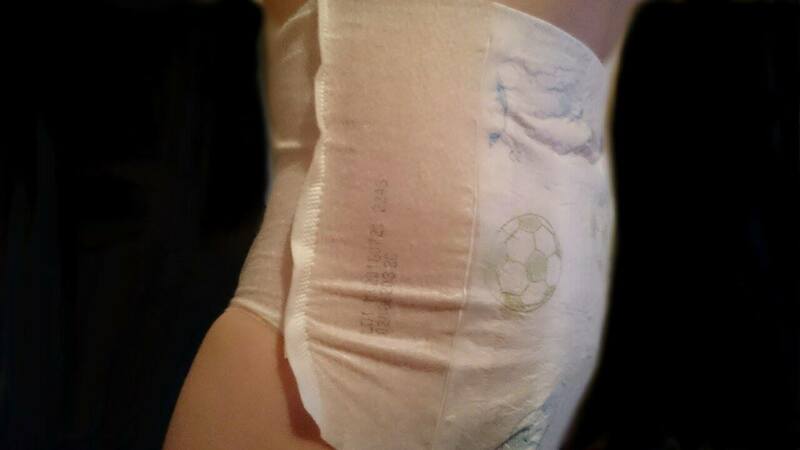 The pants are super absorbent so we never had any leaks or irritation on C's skin. 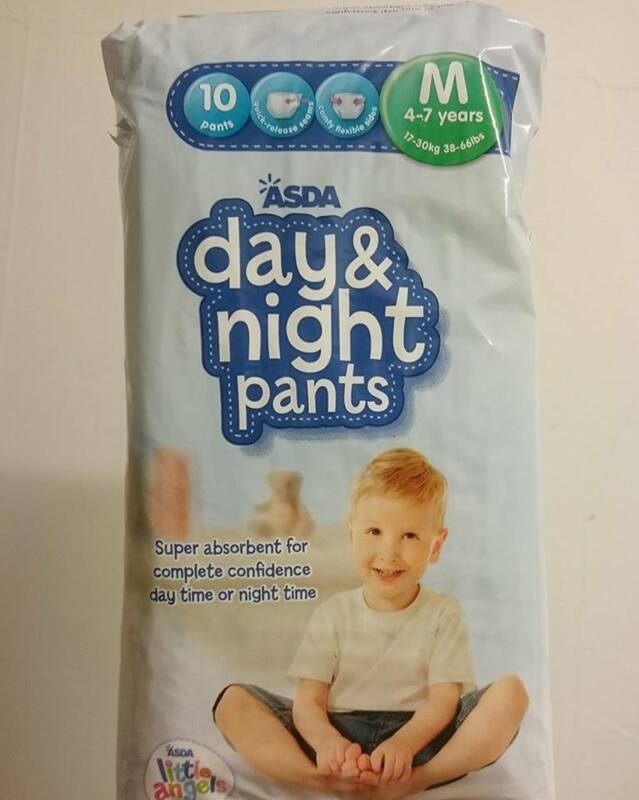 We had previously been using a bigger, more expensive brand of night time pants and honestly, these are just as good and a fraction of the price at just £3.87 per pack of 10. I would definitely recommend them to any parent who is either in the same boat as us or has a child who will occasionally have a day time accident. 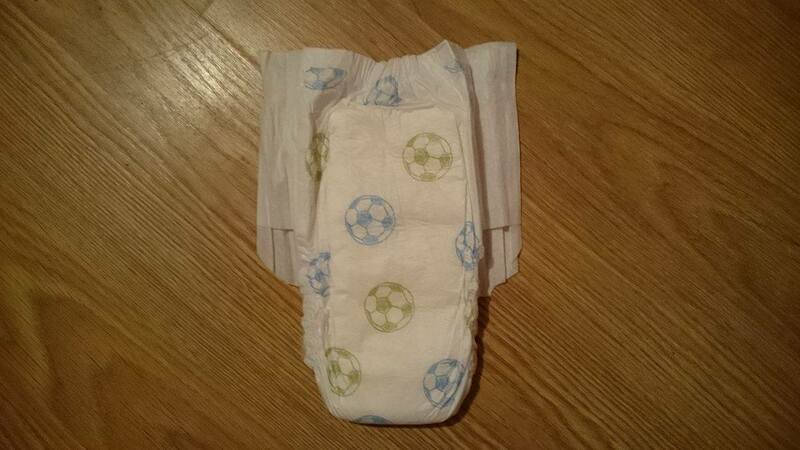 I can definitely see us using them when potty training 2 year old E - especially to pop one on for the school run!